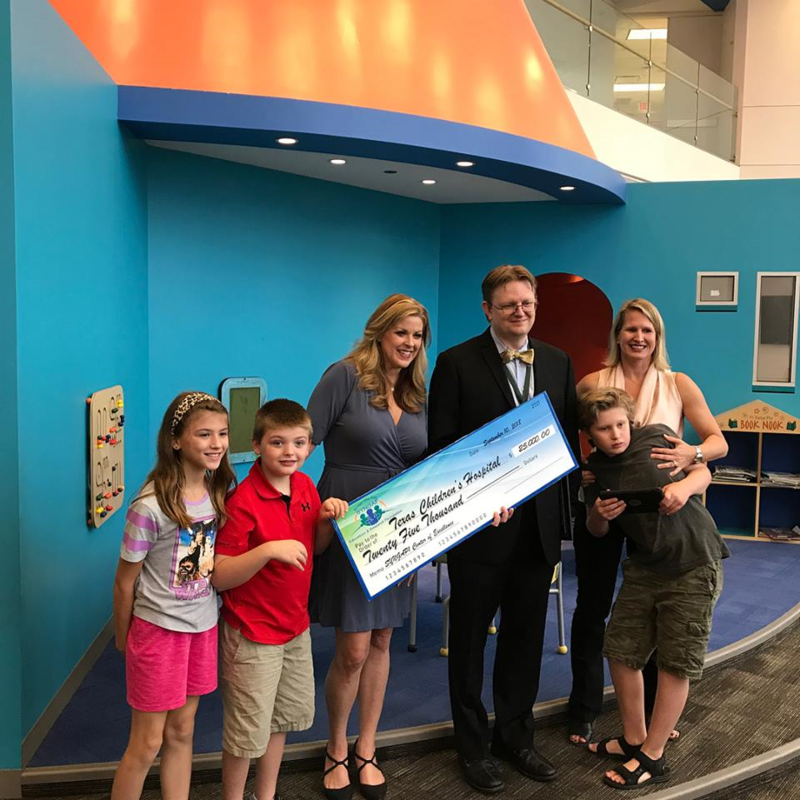 Houston, Texas - September 17, 2018 - Bridge the Gap – SYNGAP Education and Research Foundation presented Texas Children’s Hospital with their first research grant of $25,000, taking place at The Mark A. Wallace Tower in the Bluebird Clinic of Neurology on September 10, 2018. The award was presented by Monica Weldon, President/CEO to Jimmy Holder, MD PhD, who is the lead director of the center and serves as the foundations Scientific Advisory Boards Chairman. Texas Children’s is the first of two Centers of Excellence established within the last year. The other is located at Kennedy Krieger Institute in Baltimore, MD. The funding for this grant will go to help support projects, including a biomarker study that will aid in preparing for pre-clinical trial design as they move forward towards finding possible treatments for patients with SYNGAP1 mutations. SYNGAP1 – related non-syndromic intellectual disability (NSID) in humans was first reported in 2009. A mutation in SYNGAP1 results in intellectual disability ranging from mild to severe, epilepsy and a multitude of other comorbidities. There can be associated attention deficits, impulsivity, and/or mood disorders. 94% - 100% of the SYNGAP1 patients have some type of epilepsy. SYNGAP1 is one of the top two single gene mutations being researched worldwide linked to autism. It also plays an important role in brain plasticity and may represent one of the most common causes of ID worldwide. The use of genomic sequencing has dramatically increased the capacity of physicians to identify these mutations. Bridge the Gap – SYNGAP Education and Research Foundation (501(c) 3) is a non-profit organization whose mission is to serve, educate and fund research for families coping with the effects of SYNGAP1 mutations. The leading organization advocating and raising funds for research and treatments for SYNGAP1. Bridge the Gap-SYNGAP Education and Research Foundation’s mission is to improve the quality of life for people affected by SYNGAP1, provide family support, accelerating research and raising awareness. Texas Children's Hospital, located in Houston, Texas, is a not-for-profit organization whose mission is to create a healthier future for children and women throughout our global community by leading in patient care, education and research. We are proud to be consistently ranked among the top children’s hospitals in the nation.